From Make Up For Ever. These are my favorite one, they are so many more brands but I like these four. 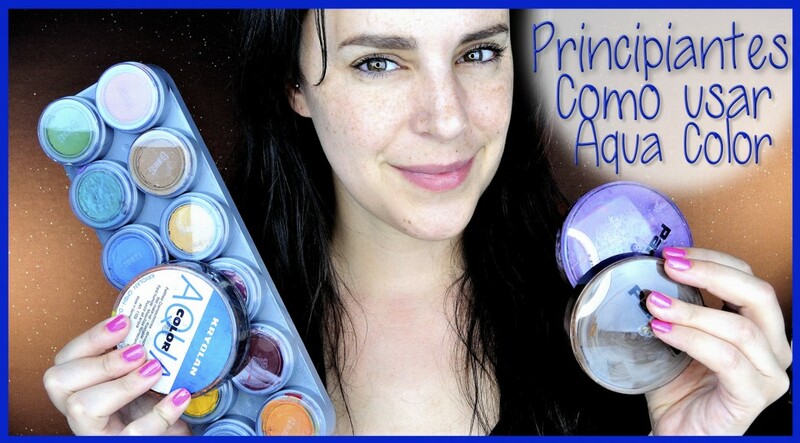 So aqua colors are like the aqua colors for painting but specially made for the body so do not use painting products for the skin, you need to use the specific products made to use on the skin. They activate with water and they dry out and don’t stain, but with water or sweat they move, making a perfect product for kids cause the make up goes away with a bath. 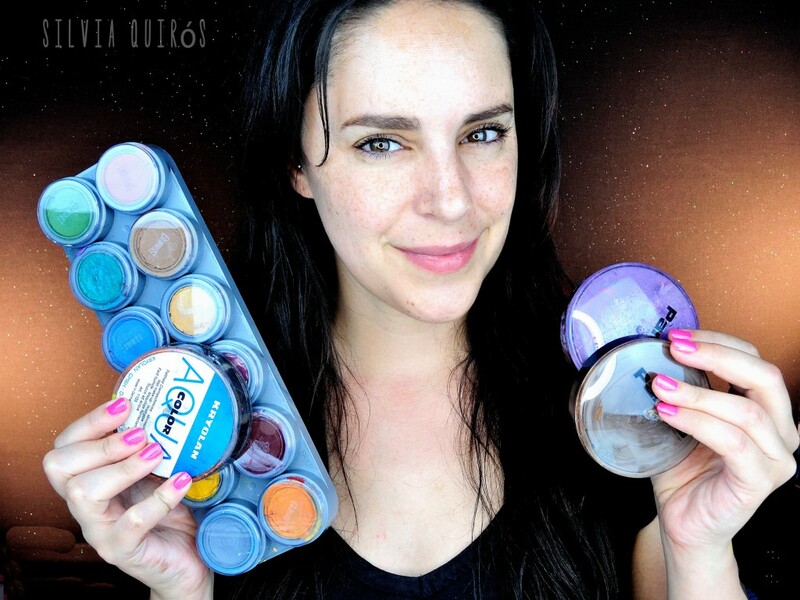 They are great as a base for makeups but they do not work well if we add two layers of the same aqua color product one on top of the other one cause the second one moves the first one, is great as base and them apply some oily base colors like cream colors.